A Bit of Sass: Fashion Quote Friday + 2014 Resolutions! Fashion Quote Friday + 2014 Resolutions! 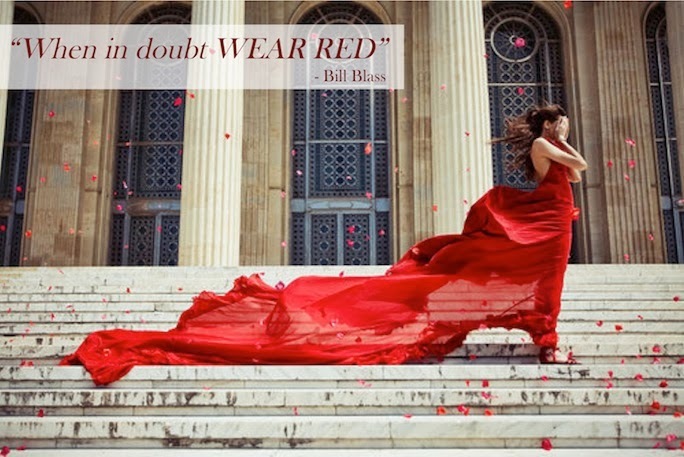 As the late fashion designer Bill Blass once said, "When in doubt wear red." I thought this was the perfect fashion quote to kick off 2014, since one of my New Year's resolutions is to start wearing more color. Although personally 2013 was a great year, there are always areas in life we can improve on or even just put more thought into. Below are some 2014 New Year's resolutions for myself and for others as told through a bit of internet link love. Wear More Color & Other Fashion Resolutions: For fashion lovers there are so many great easy resolutions we can make. As I mentioned, this year I'm resolving to wear more color (I started off by pulling the trigger on this sale red dress). Check out these New Year's Resolutions from top celebrity fashion stylists on WhoWhatWear. Get More Active On Social Media: As a blogger, keeping up with all the different social media sites can be overwhelming. I've particularly slacked off on the Instagram arena, so I'm resolving to become more active on Instagram - follow me here (sorry for the shameless plug;)). Check out this article on social media tips for bloggers and these social media tools for bloggers. Shape Up Through Healthy Eating: So many of us use the start of a new year to rev up our fitness and diet plan. With my May wedding around the corner I'm going full gear on the healthy eating spectrum. Julia from Tartan + Sequins looked amazing for her wedding and she credits it to this healthy eating routine. Keep My Closet In Order: As I'm sure most of you will understand, the state of my closet can get pretty scary... Well I'm resolving to tidy up my clothes horse tendencies! In addition to donating clothes I no longer wear I'm going to get more active on PoshMark so I can do some fashion selling. On this line check out these Tips to Keep Your Closet Organized and this article on Ways to Revamp Your Clothes. Love your resolutions and the article on FB is hiliarious! Great resolutions! For sure need this to remember! Wow, the girl looks so gorgeous in this stunning red dress.